Microsoft considering Nook buyout worth $1 billion? Today there's been a rumour, which started over at TechCrunch, which says that internal documents from Microsoft reveal that the Redmond giant is preparing to offer up $1 billion to buy the digital assets of Nook, part of the Barnes and Noble group! The idea is that Microsoft could utilize the digital section of the company, so the eBooks, eReaders and the Nook tablets. Part of the 'internal document' says that Android-based tablets won't be offered by the company at the end of this year and there were rumours about this which surfaced in February. 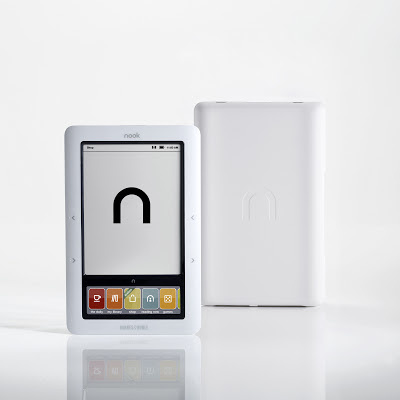 Instead of offering their own hardware it seems as though Nook will use apps on 'third-party' hardware, but we're not sure if that means just devices powered by Microsoft's operating system or other tablets more widely. What do you think? Are the recent price drops a way of the company clearing inventory before an expected buyout? The stock markets certainly think so and the price of Barnes and Noble shares have soared today by 18% following the report from TechCrunch this morning!